Wishing you all and your families health and happiness in the Year of the Pig! Great meal last night, and looking forward to another today. Unfortunately we can’t get the firecrackers here - and I doubt our neighbours would be happy if we did. (Lethal things, by the way! Why don’t they have longer fuses?!) Of course I think they’re officially banned in HK (? ), so maybe it’s just in the villages they can get away with it, buying them from China. Hi IB. Yes, you are quite correct. Fireworks were banned back in 1967 when HK was still a Crown Colony and during the infamous ‘67 riots. I think you could still buy small fireworks and poppers (rolls of paper tape with dimples of gunpowder) for some time after from the small stalls in the outlying areas, as adherence to regulations and legislation was somewhat ‘flexible’ in those days…but has now been superseded by government organised fireworks display in the harbour which is both very impressive and infinitely safer! You do seem to know your way around the villages in the New Territories; a previous resident perhaps? In the outlying villages the traditional firecrackers definitely still reign supreme, bought from over the border in Shenzhen! One year I will make it there for Bew Yesr to experience fir myself (which will be in a village). 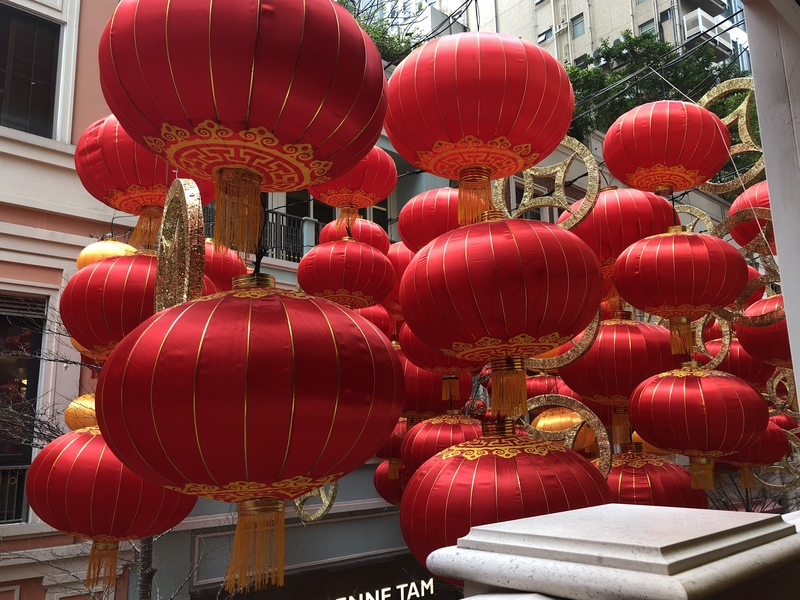 Kung Hei Fat Choi to all in Hong Kong. Lived there for 7+ years. Miss it. It’s where I got hooked on my audiophile journey. Happy Lunar New Year. 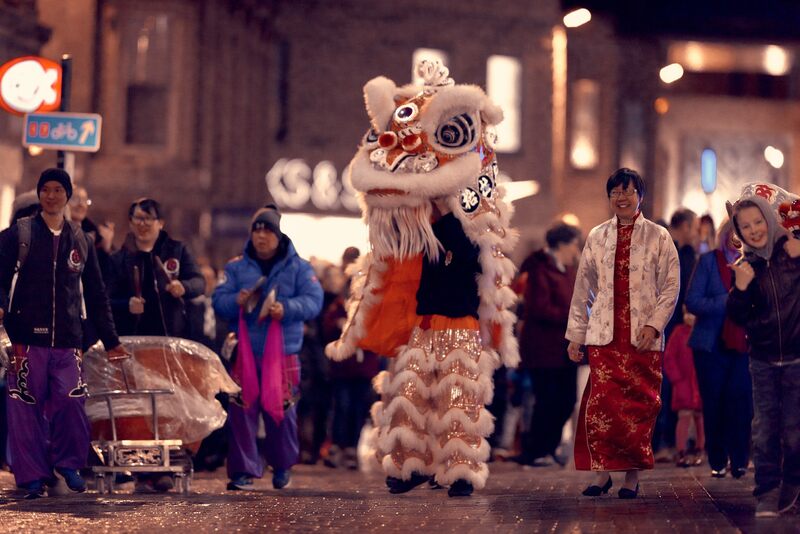 My good lady who is Chairman of the Chinese Association up here leading the Lion along a local High Street to our New Year Banquet. Back to HK later in the year to celebrate my Mother in Laws 90th Birthday. Lovely picture, lovely lady, like the little girl with the thumb pointing out the dragon, great pic.